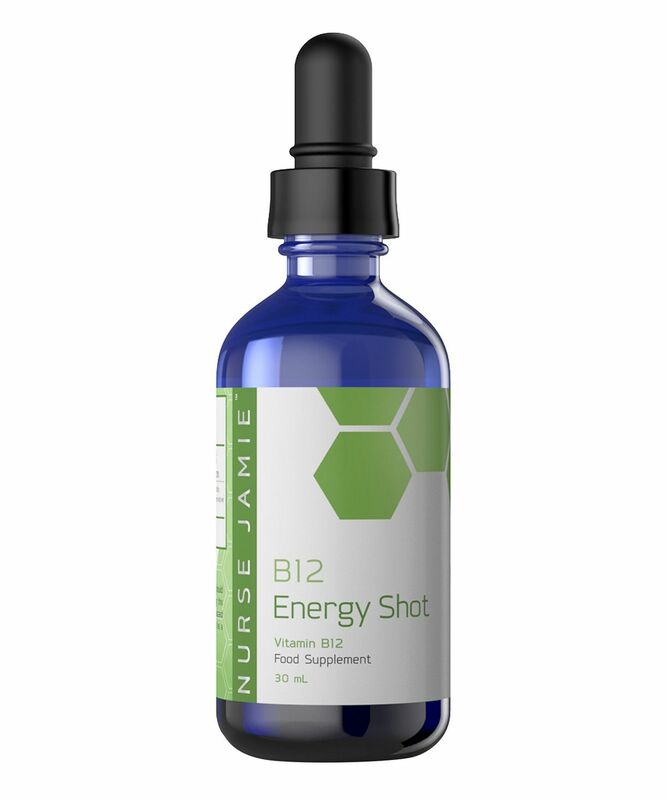 Like a natural caffeine boost without the ‘crash’, the B12 Energy Shot jump starts overworked systems, supporting metabolism, mood and memory function, while also aiding protein synthesis and red blood cell maintenance. Take six drops daily – bottoms up! We all know that beauty begins from within, so if you’re floundering and feeling fatigued, Nurse Jamie prescribes this B12 Energy Shot. Super-charged with 5,000 mcg of Vitamin B12 – essential for keeping the body’s nerve and blood cells healthy – this ‘shot’ aids protein synthesis and supports red blood cell maintenance. Just six drops will help give you a daily jump start, boosting metabolism, inspiring optimism, sharpening mental agility and enhancing memory function while allowing you to recover your ‘oomph’ without the side-effects of your morning espresso. It makes an excellent natural replacement for caffeine, offering the buzz without the crippling ‘crash’. Take 6 drops daily. Place under the tongue and let it absorb for 2 minutes. Vitamin B12 5000 MCG - Helps to keep the body’s nerve and blood cells healthy and helps with DNA synthesis of cells and healthy blood cell formation. I really liked it. You can feel energy boost within the next 20-30 minutes. Helps me to stay awake and be very productive. Highly recommend! B vitamins are a must for me especially post 40 and the first time I tried this I really noticed a difference in my energy level afterwards.